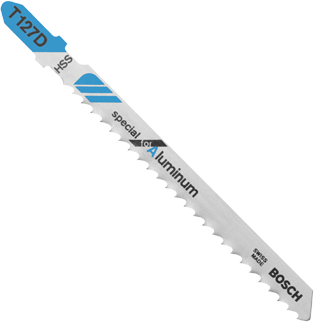 Innovative Bosch Special for Plexiglas blades offer fast cuts and long life when cutting Plexiglas. Ground teeth and a taper ground back provide clean results on straight or gently curved cuts. High Speed Steel teeth and body for maximum life. T-shank design for maximum grip and stability which fits 90% of all current jigsaw makes and models. Application Plexiglas 5/64" - 3/4"